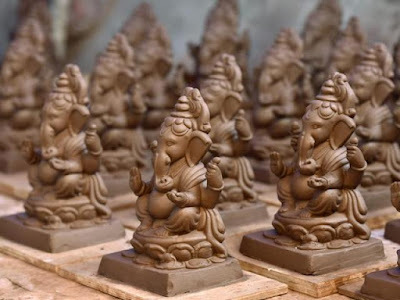 In what is considered as a head-turning market opportunity, I went about with plans to deliver Eco-Friendly clay Ganeshas to customers at their doorsteps. While a few people have already tried it in the past with limited success, this was perhaps the first time a Hyperlocal Ecommerce Marketplace (my startup Oyethere.com) was trying something very unique such as this. 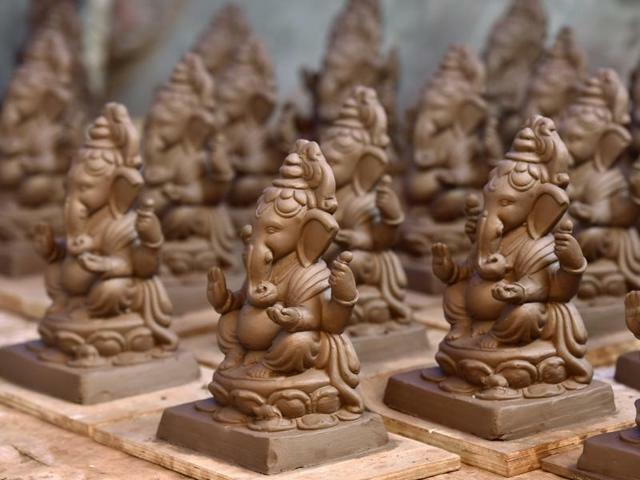 We had four different options – an idol of Clay Ganesha being common in all the four and the additions being different in each one of them. Icing on the cake was that we would pick up the Ganeshas back from customers houses after the five day ritual was over, thereby providing customers a great sense of relief from rushing towards water bodies for immersing the idols, as is the normal practice around the festival that is celebrated all over the world by Hindus with much fervor. Being a strategy guy, I planned meticulously on how this whole exercise should be executed. Firstly, met our product partner well in advance to brief them about the enormity of the opportunity and what gains it would bring to both of us. Later, I planned the marketing campaigns, mostly digital.Finally, I worked on the logistics and last mile delivery which is the key thing in Hyperlocal Ecommerce. As always, plans on paper looked glossy. I had very few chances of faltering, I thought to myself and didn’t leave enough room for things that could go out of hands. And that nailed me in. 12 hours before we began the distribution and delivery of Ganeshas, I gave a notice to my product partner. While I was sure they were at work, I didn’t follow-up every few hours on what has been the ground scenario. The partner’s staff, being new to this kind of an operation, hadn’t kept check and balances which meant that there were unforeseen delays from their suppliers. We started deliveries 3 hours behind our scheduled time of commencement, thereby putting a lot of stress on our capabilities. While we had adequate manpower to deliver Ganeshas, the last minute pressure hit everyone on their heads, with all of us getting in to a tizzy. I was attending almost every call that was coming to our helpline and patiently explained to customers that the Ganeshas would be delivered on time, only to find myself fooled by my own randomness. We delivered and delighted a majority but had to suspend our operations at one stage, which not only put off the customers but also attracted a lot of negative criticism through calls, messages and social media. At 11.55pm, I put out an apology on our official Facebook Page, requesting customers to forgive us for the lapse. I went underground for a few days, with no interaction with the outside world, just so I could introspect the mistakes and come out stronger. Which I did eventually, doing a favour to myself and my ecosystem. As always, my wife and a few friends stood by me. Many of them took the effort to call me, message me to keep my spirits high. They quoted examples of how very large companies have committed grave mistakes but came back stronger after correcting themselves. And so here I am, back in action with new plans and new resolves to improve ourselves and offer better services in times to come. Our plans are intact and we believe we will only perform better in times to come. Don’t write me off, yet. And watch this space.